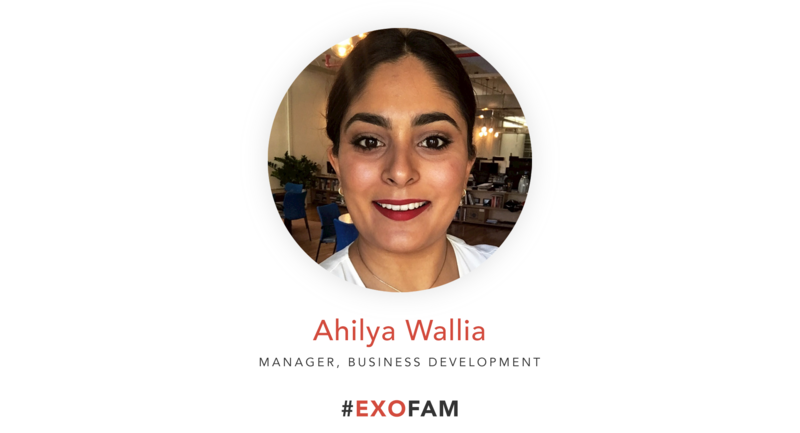 We connected with Ahilya Wallia, Business Development Manager on the Commercial Team, to learn more about what brought her to the ExecOnline family. Ahilya joined ExecOnline in 2017 and is based in our New York City office. Like a few others at ExecOnline, I have political campaign experience right out of college. Most recently, I worked for the Mayor of New York as Digital Director on his re-election campaign. I made the decision to explore an industry transition, and the Commercial team here at ExecOnline appreciates the skillset of people who are comfortable in relationship-building, client-facing roles. I graduated from Wellesley in Political Science with about two undergraduate semesters coursework cross-registered in business at MIT Sloan. ExecOnline’s product makes it the industry leader in leadership development – this was clear from market research. I accepted because the people who interviewed me – including our CEO – passed the “gut” check, which is sort of an intangible culture check of: “are these good people?” and “do I really want to spend everyday with these people?” Even though this is a sales team, this a group of people who understand anything worth achieving is done by a team. You see this in the partnerships between our associates and directors – support is mutual. As we develop our company, it’s important to be among people who “get it” that growth here is about mutual success. What’s something that might surprise people about working on the commercial team? There are a lot of misperceptions about sales, but the one I’d push back on is that it’s a “talking” role. It’s very much a “listening” role if you want to be good at it. I don’t know – by process of elimination experiencing other careers, I gravitated towards this and really like sales. When I was working in politics we were held to a very strong discipline of “call by call, knock by knock”. Organize with heart, engage with purpose, win everyday. We saw very senior people doing that day-to-day hard work that in other industries is often reserved for junior people. I think it gave me a discipline that hard work is incremental, and the 1 hour you put in now could be the difference between winning and losing. So maybe the biggest lesson was, work hard – be humble? The best managers grew more humble as they advanced (luckily for me, those were my managers). HAVE WE TALKED ABOUT #exodogs yet? Puppy pics shared via Slack. In 5 years I think our product suite will be extremely differentiated – which is my way of saying: even bigger. As our products get more differentiated, for every new offering I’d like to see us stock an additional hot sauce in the kitchen as a new tradition to celebrate our success like Tobasco, Valentina, Harissa, Sambal Olek (kidding not kidding). I spent two years in Singapore leaving me with impossibly high standards for Asian food. Traveling to see loved ones who are outside of NYC. I’m really inspired by the careers of my Mom’s two brothers who are both extremely close to me (we’re kind of like Full House). They invested so much mentoring in to helping me grow.